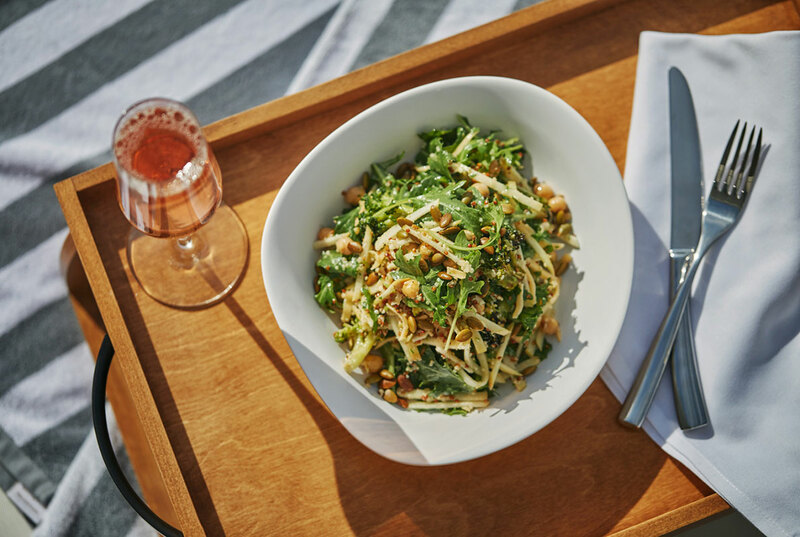 During your next lunch break, enjoy the best San Diego rooftop dining here at The Pool House. 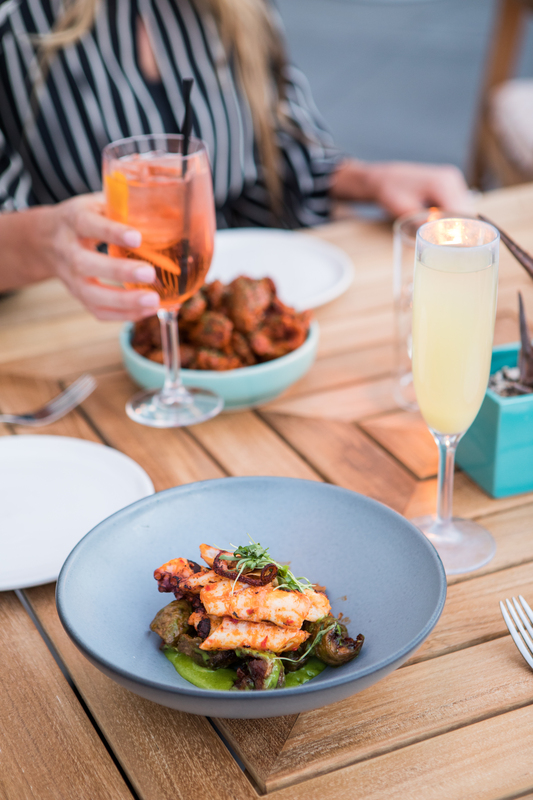 Not only do we offer a menu full of delicious options, but you can enjoy a stunning setting and beautiful outdoor dining with your friends, family, or coworkers. Here are just a few reasons to make The Pool House your preferred lunch break destination. Have you ever noticed that food just tastes better when you’re eating outdoors? 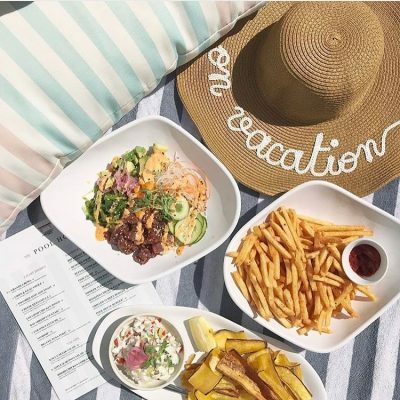 You can soak in the sunshine as you sit around our picturesque San Diego rooftop pool and enjoy a delicious lunch. Life gets busy, and sometimes you need to just slow down the pace with a midday break. That’s what we’re here for. So sit back, relax, and enjoy the perfect San Diego weather. Do you need a go-to destination for your friends or family? The Pool House is the perfect San Diego lunch spot. You know that the food is going to be great, the location can’t be beat, and did we mention the selfie potential? Thanks to our beautiful rooftop setting, any shot that you take is going to be Instagram-worthy– and just think of how jealous your other friends will be! Open daily from 11 am to 5 pm, we can accommodate early lunches, late lunches, and anything in between. Whether you’re reuniting with friends you haven’t seen in years or meet up every week to catch up, make us your get-together spot. 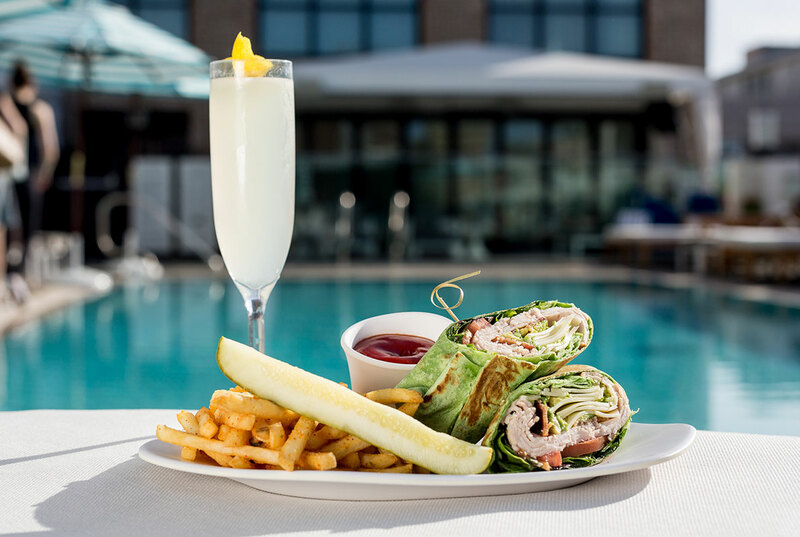 If you’re looking for a light lunch, you’ll have plenty of options at The Pool House. Start off with a Baby Kale salad, or opt for a Quinoa & Vegetable salad that features mixed greens, red quinoa, roasted farm vegetables, avocado, and a pomegranate vinaigrette. We also have a delicious Avocado Bruschetta that’s topped with sliced heirloom tomatoes, radish sprouts, and sriracha. Our BLT Turkey Wrap is another great option, as is our Grilled Fish Sandwich topped with lemon serrano aioli and wild arugula. These options are sure to satisfy and make an ideal light summertime lunch. For a special lunch break with friends, indulge a little and order yourself a delicious dish. Our menu is full of them. Maybe you want to split an order of Crispy Jidori Chicken Wings or Yuzu Crab Cakes with your party. Our starters are packed full of flavor and the ideal way to start off your lunch. For your entrée, try our Angus Beef Burger. This isn’t just your typical burger – it’s made with 10 year aged cheddar, heirloom tomato, caramelized onions, and a brioche bun. Go ahead, add bacon! Our Baja Fish Taco is the perfect choice for a San Diego lunch, since it’s made with locally caught fish. The fish is battered and topped with cabbage, cilantro crema, and lime, then placed in a flour tortilla. We’re also pleased to offer a Pork Cubano made with Salmon Creek pork shoulder confit, smoked ham, yellow mustard, gruyere, and pickles. Don’t forget to end your lunch on the perfect note with a dessert. Our daily selections of gelato and sorbets are cool and refreshing, and our Classico Tiramisu and Vanilla Affogato deliver a sweet finish to your meal. 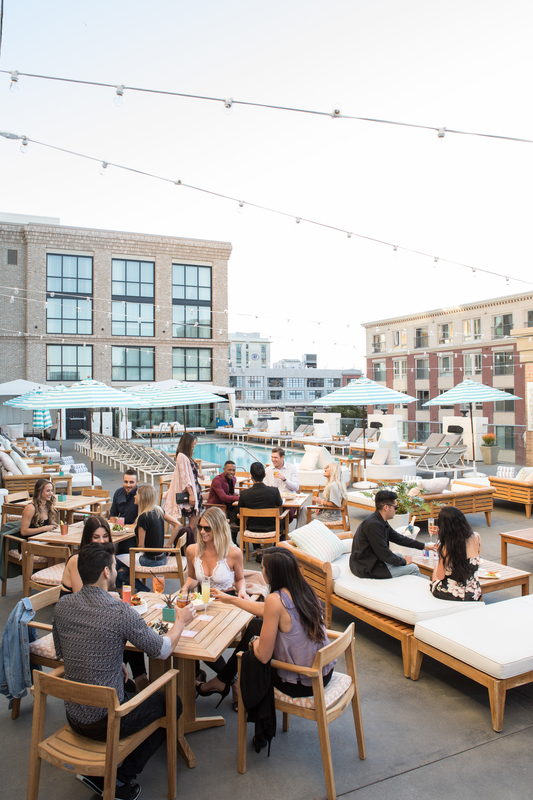 You can’t do San Diego rooftop dining without some amazing drinks, and we have a huge drink menu for you to choose from. Our specialty cocktails are absolutely delicious, and they’re all perfect for a spring or summertime lunch break. Choose from options like our Classic Mojito, our Fresca Fizz, or the Guardian Angel. Our specialty cocktails are even available as pitches for your entire table. Need to cool off on a hot summer day? Our frozen drinks are the perfect treat. Wet Sand blends together Malibu Black Coconut Rum, pineapple juice, and a Pina Colada puree. Our Frose is another ideal choice with its blend of Campo Viejo Rose, Absolut Vodka, fresh raspberries, and fresh watermelon juice. Of course, we have plenty of other options, too, including beer, champagnes, white wines, and red wines. Working lunch? We have plenty of non-alcoholic drinks including Vita Coco Coconut Water, ResQ Water, Red Bull, and seasonal fruit juices. Come enjoy the sunshine at The Pool House. 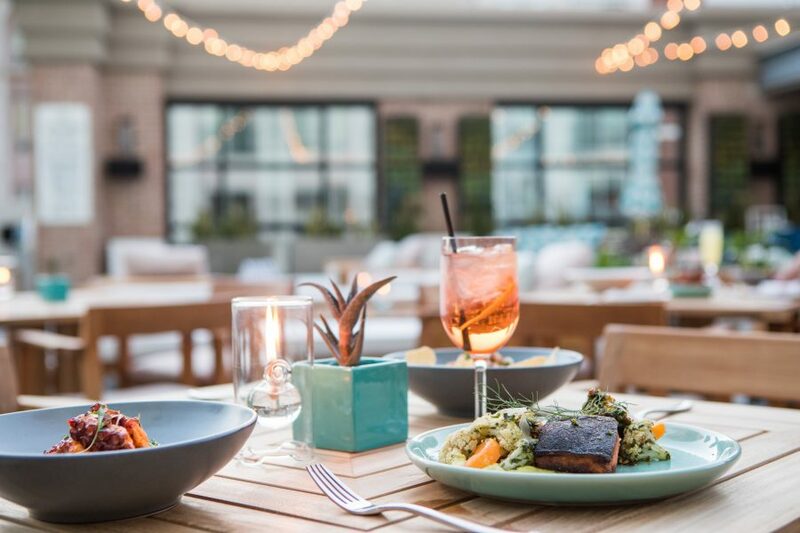 Make your reservation now, and enjoy the best San Diego rooftop dining around.